SLO Cross 2013 was held at El Chorro Regional Park on November 2nd and 3rd. The two days of racing were enjoyed by approximately 150 racers each day as well as spectators and support crew from SLO Nexus. Photos are popping up all over facebook, so check out the SLO Nexus facebook page for picture and race results. 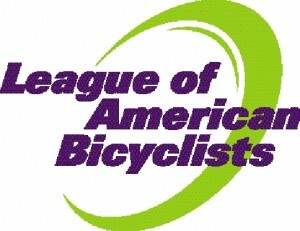 We are proud to announce Clif Bar has sponsored our 2 SLO Cross events for 2011. They are providing some great product to add to the prize list and are a great partner to help grow our events into the future. Head out to El Chorro Regional Park this Sunday for Day 2 of the 2011-12 Southern California Prestige Series of Cyclocross North! A challenging course with lots of features… sand, run up, barriers, dirt, grass and pavement. San Luis Obispo is one of the most beautiful regions in Southern California and SoCalCross hits it twice. Don’t miss your chance and head to El Chorro Regional Park wedged minutes from SLO and Morro Bay! Make this Day 2 of a weekend get-away! Also, USA Cycling ranking and upgrade points as well as PRESTIGE SERIES points up for grabs! Camping is available at the course, visit here for details and reservations. Check out the article from the Mustang Daily about the League of American Bicyclists award to the city of SLO for Silver level status. All day of details for the 10/23/2011 event can be found at www.slocross.com or by clicking here for the flyer. Do you love cycling in the beautiful rolling hills of SLO County? More importantly, do you love eating cookies? Then join us for the Cookie Ride – presented by the the SLO Hep C Project and the Central Coast Triathlon Club raising awareness about hepatitis C in our community! The Cookie Ride will be a 50k loop leaving from Templeton Park and traveling through the beautiful countryside of North San Luis Obispo County. Ride is free, will have SAG support, and will provide cookies and coffee from local bakeries. Join us Saturday, May 21st at 8:30am (registration at 8am) in Templeton Park. The Cookie Ride registration is FREE but if you're feeling generous and want to make a donation to support the efforts of the SLO Hepatitis C Project? Or, can't do the ride but would like to make a donation? If you plan on joining us, please register here. We hope you can join us – save the date! We hope to see you there! Registration begins at 10 a.m. - 12:00 p.m.
Prizes for Best and Worst Hands, raffles (cash prizes, bike components) and other surprises! Food and Entertainment, Bike Olympics at 1 p.m.
World Bicycle Relief’s mission is to provide people in need with access to independence and livelihood through The Power of Bicycles.